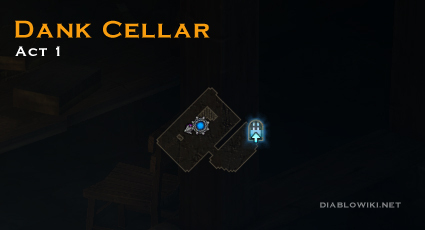 Map for The Dank Cellar. It's found in along the Old Tristram Road of Act I. It's small and has the same configuration each time. This page was last edited on 25 October 2012, at 17:53.